This quilt is fabulous. Not only are the ships adorable, but the fabrics are perfect. How can you not love a ship quilt made with octopus, sailor, whale, anchor, and mermaid fabric from Birch Fabric Saltwater line?! This quilt is easy to make and the pattern is easy to follow, with great tips, images, and a sail template. 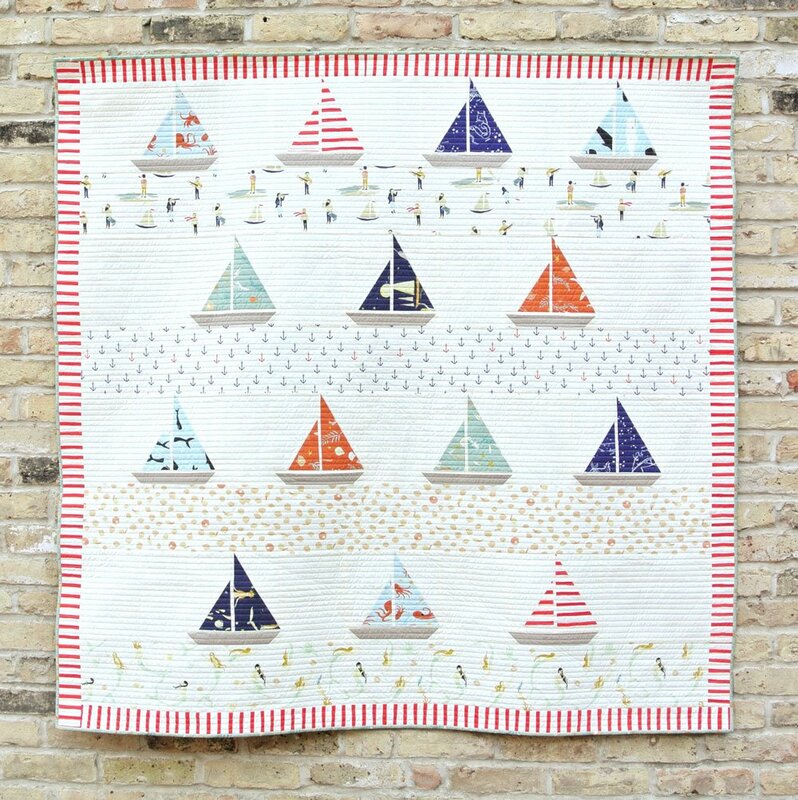 Suzy also provides a link to where you can buy the full kit to make this adorable quilt. "This fabric line uses a lot of large-scale illustrations, so in addition to the cute little sailboat blocks, I wanted to make sure the quilt pattern didn't call for slicing and dicing up all the wonderful creatures floating around in the sea. Which brings us to those majorly big horizontal stripes. Biggie stripes are one of my favorite ways to showcase beautiful fabric without the quilt looking too cluttered. Even though these stripes read as various shades of cream, I wanted the fabric patterns to really POP, so I juxtaposed them with solid cream fabric."